Dazzle Dry Tea Time is new collection of semi-sheer lacquers for Spring 2019. These fresh neutral nudes convey class and refinement with ladylike shades such as Earl Greige and Taupe of the Morning, the subtle crème of Fine China or rosy hues like Pinkies Up and Mind Your Mani. RapidShield™ Eyelash Daily Conditioner is a day-time lash conditioner that helps prime, protect and amplify the appearance of healthy-looking lashes in just two to four weeks. Formulated with Hexatein® 3 Complex, an extraordinary blend of moisturizing, nourishing and fortifying ingredients, RapidShield is specifically designed to help condition and shield eyelashes from the daily elements. Silk amino acids, Biotin and Apple Fruit Cell Extract coat lashes with amazing shine, sheen and luster! 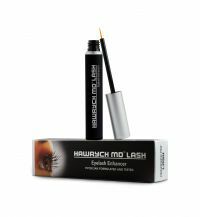 : Eyelash enhancer that will beautify the look of your natural lashes. 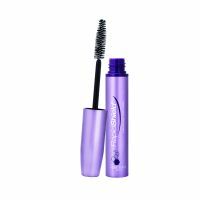 It effectively promotes the appearance of longer, fuller and thicker lashes while fortifying them and noticeably intensifying eye expression. Builds lashes from natural to stunning day after day. It gives eyelashes gorgeous look and volume. Professionally tested and approved. These stealth eyebrow stencil kits are perfectly designed to help shape your brows to accentuate your face. 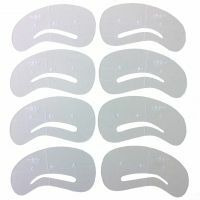 The stencils are reusable stencils and easy to use with mapping clearly marked for the inner, outer corner and the eyebrow arch. The kit comes with four stencils including curved arch, soft arch, structured arch and full arch, it makes these brow stencils suitable for all brow and face shapes.